Girls and Boys ages 5 & up can join us for a Kids’ Night Out (Parents Night out – Go spend some time together)! 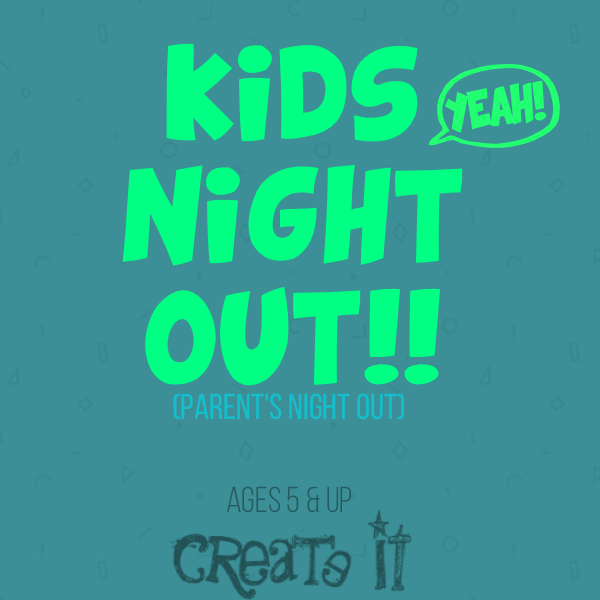 We’ll have some fun making new friends and getting artsy! 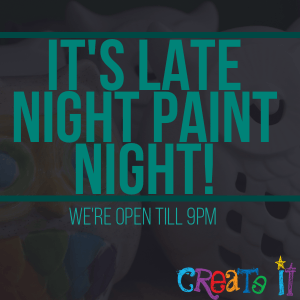 Late Night Paint Night is a fun night to fuse glass or paint your own pottery. 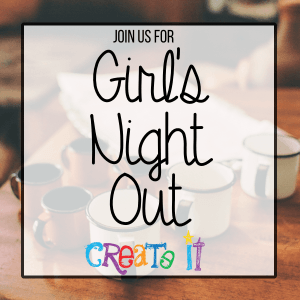 It’s a great time to get together with your friends for a night of chatting and creating! Enjoy complimentary appetizers, feel free to bring appetizers/dessert to share and of course your own beverages!! I’m sure you’d love to unwind, and create sipping on your favorite wine! Create a glass fusion with us! 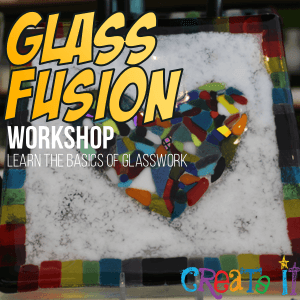 In this class you’ll be learning the basics in glass work! Workshops are a great way to get into glass fusing and are super fun for a Ladies’ Night or get together! These courses last about 1-2 hours and are instructor led. 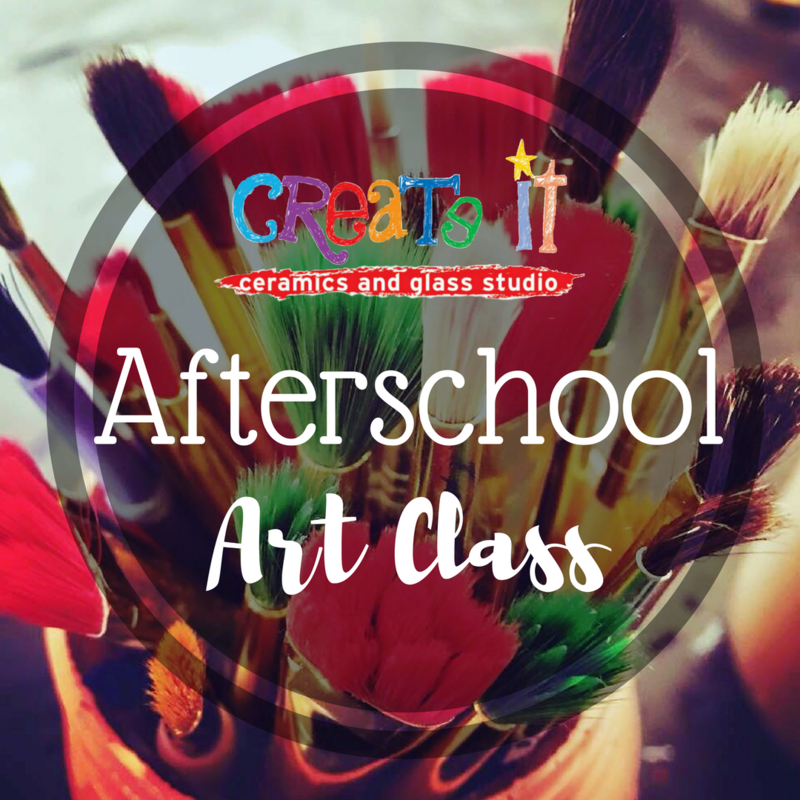 This is a weekly class, after school kids can get dropped off and spend the afternoon creating! Each week we will learn something new! Sign up for a week or consecutive sessions! 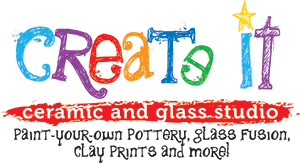 We will be building with clay, painting a canvas, creating fused glass & of course paint your pottery techniques! Give yourself an afternoon of relaxation, our village is the perfect place for some me time! 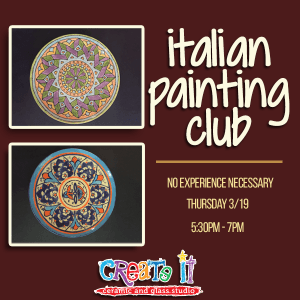 Join us for Italian Style Painting! 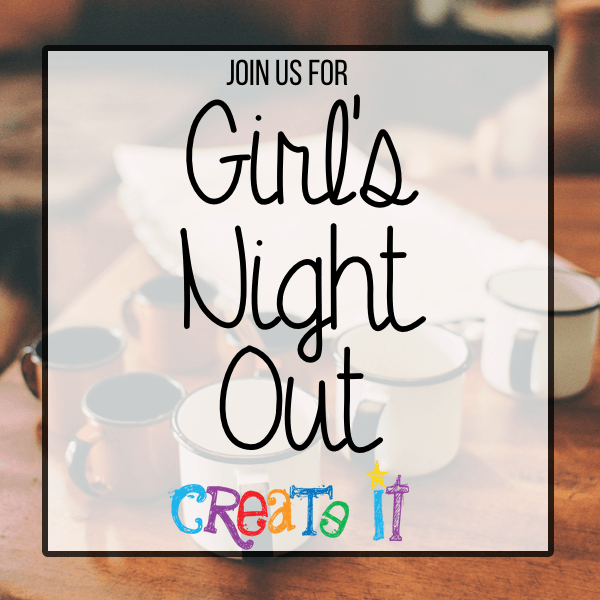 Grab your friends & your beverage for a night of creating. Learn how to create a masterpiece just like these at our Italian Painting Club! We will walk you step-by-step through the process of using Lo Spolvero stencils in this easy but impressive technique. Canvas Painting is fun & relaxing! 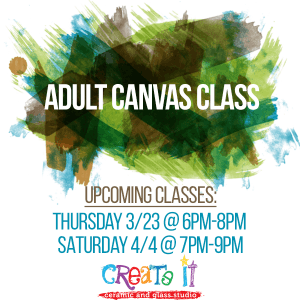 Join us as an instructor teaches you step by step how to create a creative piece of art! Feel free to bring in your own beverages. 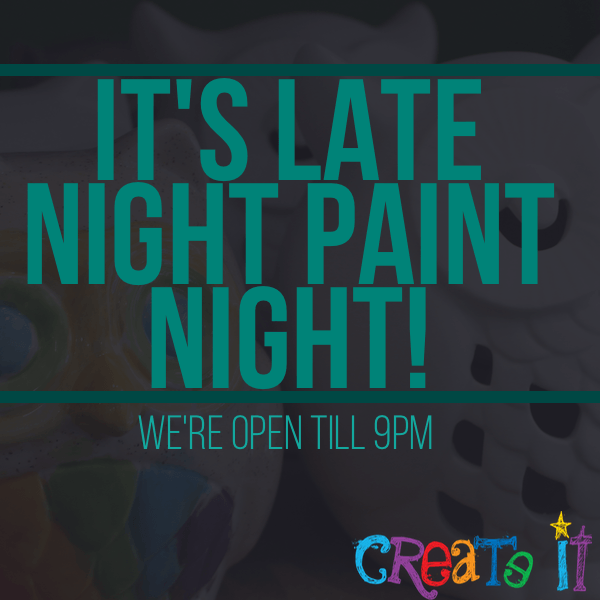 You’ll take home your masterpiece the same day! So grab some friends and join us! No parents allowed! This is for serious fun-havers only! If you are 9-14(ish), you are invited to our G.N.O. We will make an awesome project, and play some pretty fun party games. The projects are instructor led and super cute!